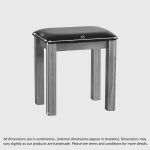 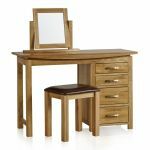 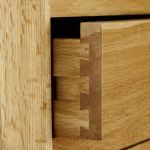 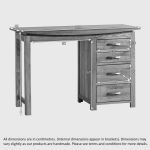 The Tokyo Natural Solid Oak Dressing Table Set is beautifully handcrafted from premium quality solid oak; right down to the drawer bottoms and backs. 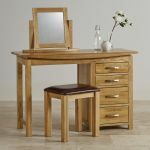 The whole set boasts an elegant Japanese style design, featuring gently curved detailing and sleek metal handles. 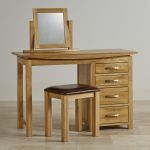 The four drawers are handcrafted using hardwearing dovetail joints and the padded seat of the stool is hand upholstered using genuine leather in a rich chocolate brown. 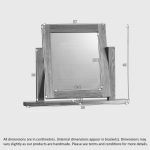 The handmade mirror swivels, and can be easily adjusted by hand to achieve the perfect position. This solid oak dressing table set is the perfect addition to the bedroom, adding a dose of functional storage and sumptuous style.